AutoNation Inc. said today it plans to bid on "multiple" Fiat franchises after Chrysler unveiled its plans for the brand to dealers at a meeting in Detroit on Monday. COO Michael Maroone said he was impressed with the presentation. AutoNation, the nation's largest automotive retailer, intends to seek multiple Fiat franchises, although it hasn't determined how many or where, he said. CEO Mike Jackson included AutoNation's plans for seeking Fiat in "talking points" distributed to the financial community earlier today. The Fiat 500 alone won't sustain separate Fiat operations, Maroone said. “You'd need multiple models; you need good product cadence, which they did discuss with the dealers, and we were satisfied with the product cadence they have,” Maroone said. Chrysler also talked about Alfa Romeo. “There's a commitment to bring Alfa Romeo to the United States, and the people that are able to obtain these Fiat franchises will not only have multiple products in the Fiat line, but they'll also have first opportunity at the Alfa franchises, assuming they perform,” Maroone said. Chrysler is asking for free-standing showrooms “of a reasonable size,” Maroone said. They're not huge showrooms and there would be requirements to build a service operation, but not necessarily initially, he added. AutoNation's intention would be initially to locate any Fiat franchise next to an existing store that has a service department, Maroone said, or into an already existing but vacated dealership property. Chrysler Group's preference is that Fiat would be located with existing Chrysler brand stores, he said. Chrysler later this month will accept applications from dealers that want to participate in the return of the Italian-made car to the U.S. market for the first time in nearly three decades. The automaker expects to pick the winning dealers in October. Chrysler shared some rough numbers of what it's looking to produce. Chrysler talked about first-year Fiat 500 volumes of 50,000 growing to 70,000. “I just do the math, and I just say 70,000 or whatever the number is divided by 165 in major metro areas with building modest-sized showrooms, I think works well,” Maroone said. He added that the market is there for small cars. AutoNation also said today its August sales outperformed the overall industry and shares of the largest U.S. auto dealer group closed up 2.7 percent for the day. AutoNation retail vehicle sales for August fell 17 percent from last August, versus an overall U.S. retail count that fell nearly 27 percent, analysts said. 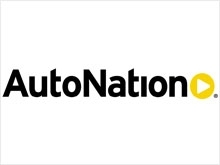 AutoNation shares finished the day up 63 cents, to $23.84 a share. At the same time, the Dow Jones Industrial Average rose by 0.49 percent. Last year's August sales were inflated by the U.S. government's cash-for-clunkers program. AutoNation said that its sales grew 19 percent against last August once the cash-for-clunkers influence was excluded. Chrysler emerged from bankruptcy last year owned 20 percent by Fiat SpA and managed by the Italian automaker. AutoNation ranks No. 1 on the Automotive News list of the top 125 dealership groups in the United States with new-vehicle retail sales of 255,843 in 2009.